By purchasing a portable scanner that can scan your products anywhere and at any time, you can take your business to the next level, and at Tri-State Business Systems, we have the portable labeling and barcode equipment you need to streamline all of your business processes. A portable scanner is exactly what it sounds like – a portable scanning device! By enabling portable scanning, you can complete a wide range of tasks in any part of your facility. 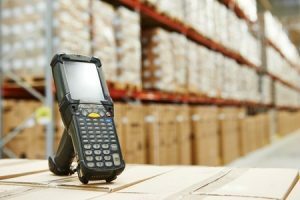 Warehouse personnel can quickly and easily scan new inventory into the system, while sales associates can easily scan barcodes throughout the sales floor or quickly scan items at checkout. At Tri-State Business Systems, we have vast product knowledge and decades of experience designing and implementing labeling and barcode systems for businesses both large and small. 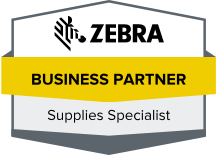 Whether you are interested in streamlining your family owned business or want to design and implement a barcode or labeling system for your multiple manufacturing plants, we can help. Our systems contain all of the equipment you need including portable printers, RFID readers, a barcode reader, portable scanners and any other applicable components. We are proud to offer complete turnkey package systems, put together by our skilled team of software and hardware engineers. By working closely with you, our engineers can develop the custom programming you need to truly customize your system and tailor it to your specific needs and goals. We have served thousands of fortune 1000 and fortune 500 manufacturers and gladly work with businesses in Branchburg, Flemington, Rowland Mills, Hopewell, Mt. Rose, Princeton and the surrounding regions, so contact us today to discuss your labeling and barcode supply and equipment needs or place an order now for a barcode reader, portable scanner or any other labeling or barcode system equipment or supplies you need to complete your current system.